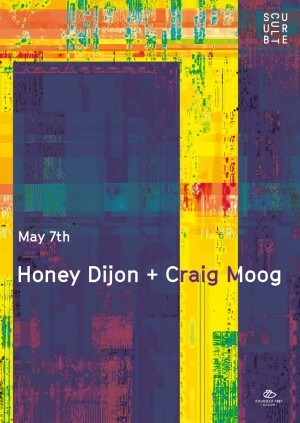 Harri & Domenic are delighted that Miss Honey Dijon is joining them once again for another generous and jacking Subculture jam down. The Chi town native plays some of the freshest parties in the world, from the Panorama Bar to A Club Called Rhonda, all the while seducing the masses with her unique mix of disco, house and techno. Just how we like it round here. Support comes from Craig Moog, a player in the Glasgow music scene for the last decade. He can be found playing a sound that takes in Disco, Italo, Cosmic, Electronic, Balearic, Psychedelic, Funk, Boogie and everything else in between.